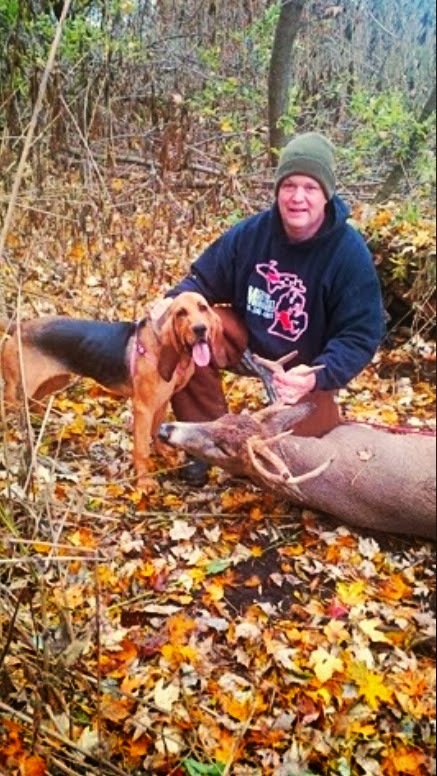 MICHIGAN DEER TRACK'N HOUNDS LLC Michigan's Professional Deer Blood Tracking Dog Services: Training a Blood Deer tracking dog. 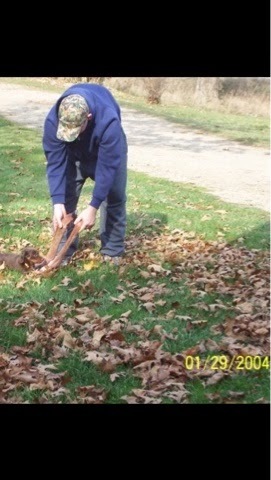 Training a Blood Deer tracking dog. 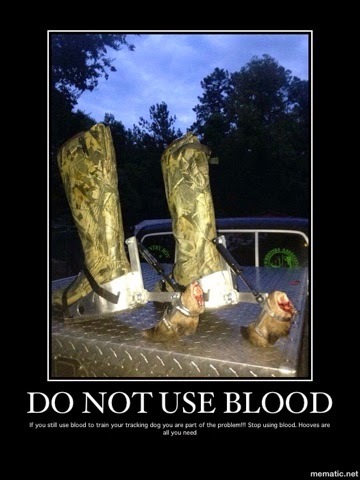 MDTH may or may not be the best deer trackers however we try to be.....! 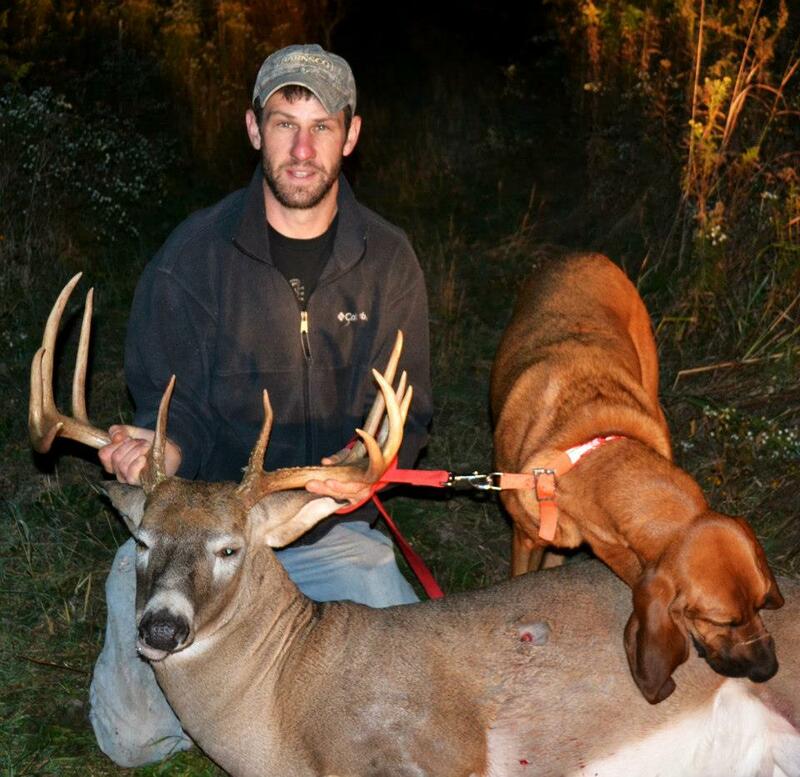 Michigan deer track'n hounds train our hounds to learn individual scent. NOT BLOOD!!!!!! This wary whitetail is about to stomp her front left foot at the menacing photographer! By doing so, her interdigital gland will release an alarming scent on to the ground, warning other whitetails who cross her path of danger. The interdigital gland is the second most important gland to the whitetail deer. Unfortunately, many hunters are unaware of its purpose let alone its existence because of where the gland is located. The interdigital gland is located between the deer’s two center toes, or hooves, and is the scent deer use to “track” one another. Think of the classic rut scene you may have experienced this past fall; a mature doe jogs by your treestand, immediately followed by a buck on the exact same trail as the doe, his nose just inches off the ground. 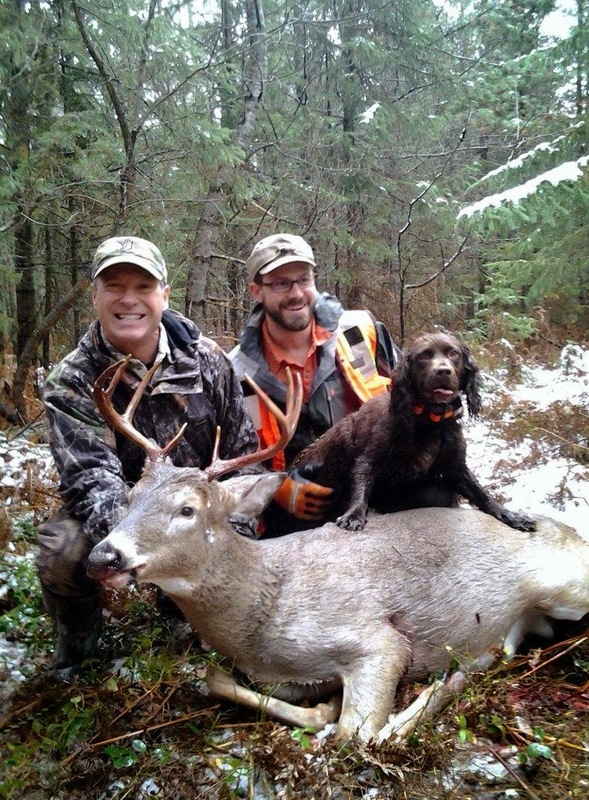 Most hunters know that the buck is trailing her scent, but how? It is wrongly believed that he is simply following her scent, possibly her estrous level. It is true that he could be trailing the doe based on her estrous level and scent, but it’s more likely he’s following the scent left by the waxy substance that seeps out of the interdigital gland. This scent is left wherever the deer walks. Deer instinctively recognize the importance of this gland, as they can often be found cleaning the bottom of their feet after walking through mud or clay, enabling more scent to ooze from the gland, thus leaving a better scent trail. This helps deer find one another more quickly and efficiently because they are able to pick up the exact trail of the deer they are looking for. If whitetails had to locate one another simply by emitted body odor, they would waste a lot more energy and burn a lot more calories in the process. The interdigital gland also doubles as a warning scent for some deer. When deer are alarmed and frightened yet can’t identify the source of danger, they stomp their foot repeatedly in attempt to get the source of danger to present itself. In doing so, the deer is depositing more scent on the ground to warn other deer of danger in the future. If there was danger in the area, it is wise of the whitetail to educate other members of the herd to possibility of existing danger in the area. While deer pay close attention to this warning scent, I have witnessed several deer sniff the ground where a deer had stomped just hours before, only to resume feeding casually. If deer ran every time they smelled this alarming scent, there would be deer running through the woods constantly. While the interdigital gland is responsible for bucks tracking does during the rut, fawns may actually benefit the most from this gland. After a fawn is born, it will spend the next 10-14 days alone in hiding, as the mother avoids leaving scent around her new born which may attract predators. When the mother goes back to find her fawn, she returns to the general area, but the doe is unaware of the exact location of her fawn since the fawn is likely to have gotten up and changed hiding spots. By following the unique scent trail left exclusively by her fawn and its interdigital gland, the doe is able to track and find her fawn.